Add personality and charm to your home with one of our huge range of doors. At Pj windows-doors.co.uk we understand that as well as your doors being functional and aesthetically pleasing, your security and safety are paramount and we offer a wide range of uPVC, Aluminium Bi-Fold and Composite doors with these features in mind. As with our residential uPVC doors, composite doors are in a steel-reinforced uPVC outer frame. How a composite door differs is that the sash (opening part) is made of a moulded slab rather than a frame and panel. The door is faced with a thick 3mm GRP (fibreglass) outer skin, filled with high-density polyurethane or for even greater strength, solid timber. 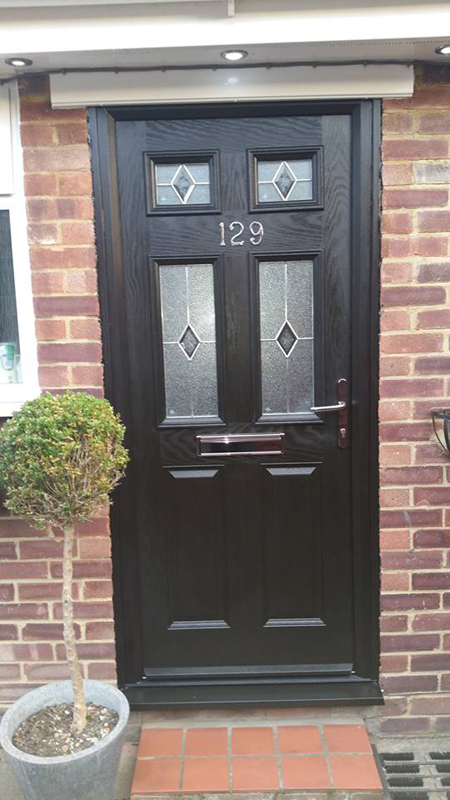 Having said that, composite doors are therefore much stronger and heavier than uPVC panelled doors and it is this which gives them that distinctive sound when closing. 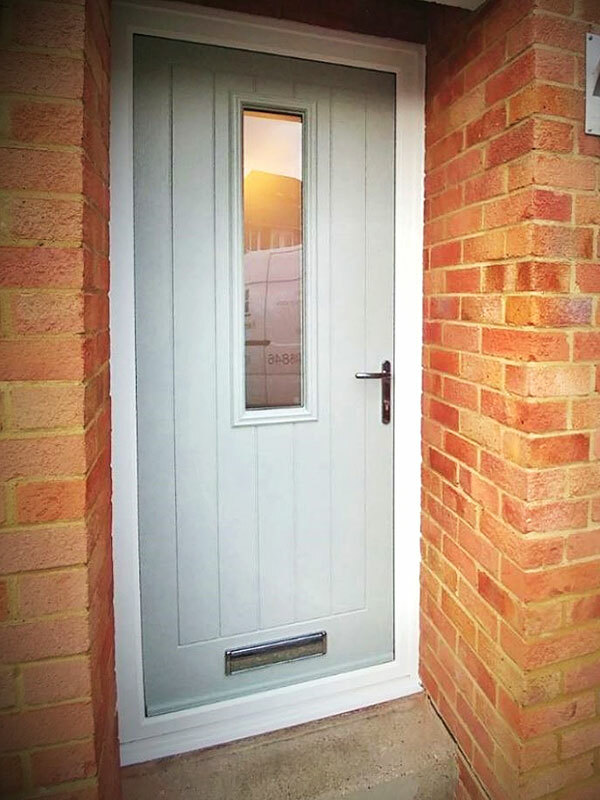 The GRP outer skin of a composite door and frame can be textured and coloured to closely resemble the look and feel of a traditional timber door. Enhance your door with a luxurious woodgrain finish or a dash of colour and create something truly individual. 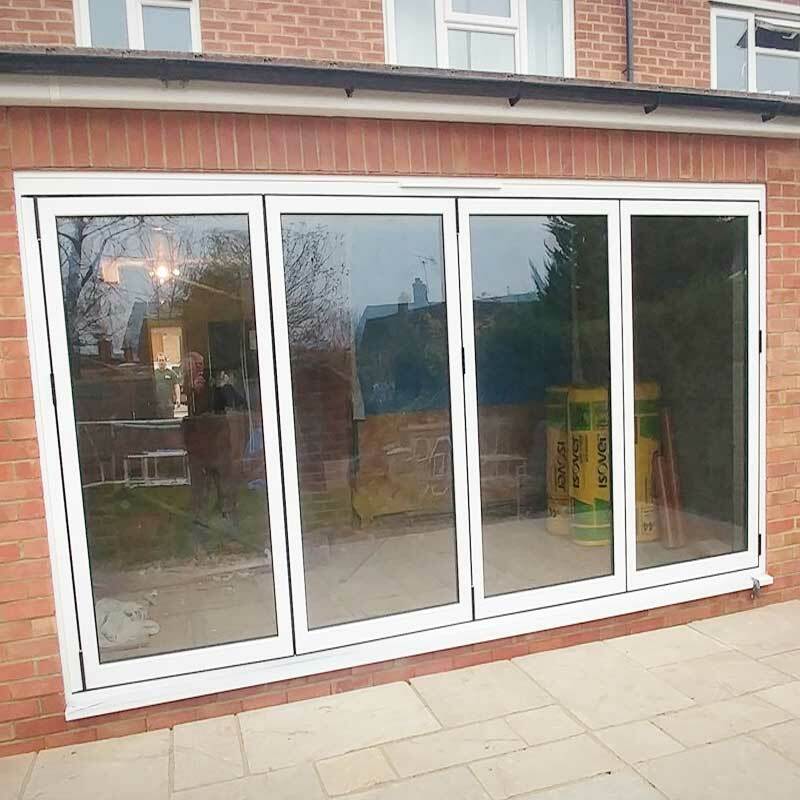 Our quality aluminium Bi- folding doors are manufactured to your particular requirements and open either in or out for you to enjoy your garden as an extension of your living room.